I hope you all had a wonderful weekend! Allie & I attended the “unveiled” wedding expo with Chelsie & Ryan. It was actually a lot of fun! Ry & I got to check out the tuxes, it is all coming together beautifully! I LOVED the cake venders especially lol -oh and the mimosa was a great addition! It was even fun running into some familiar faces! So, this week is incredibly crazy. With a shower at my house this Saturday I’ll be cleaning & cooking up to the last minute. 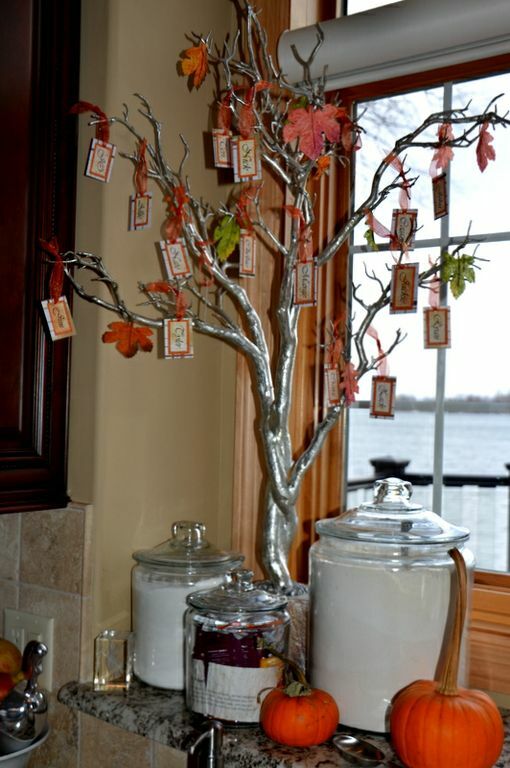 Here are a few last ideas for Thanksgiving. 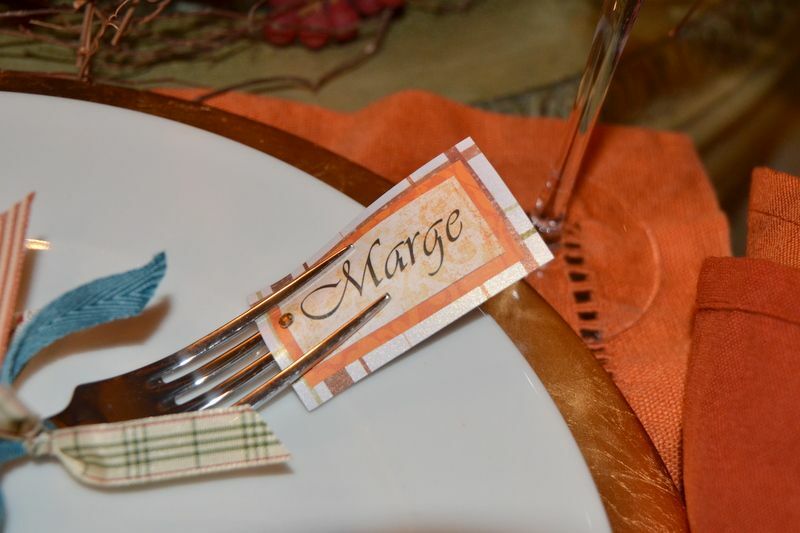 If you like this idea but mailing is not an option, then print your guest’s names and use their forks for the place settings. 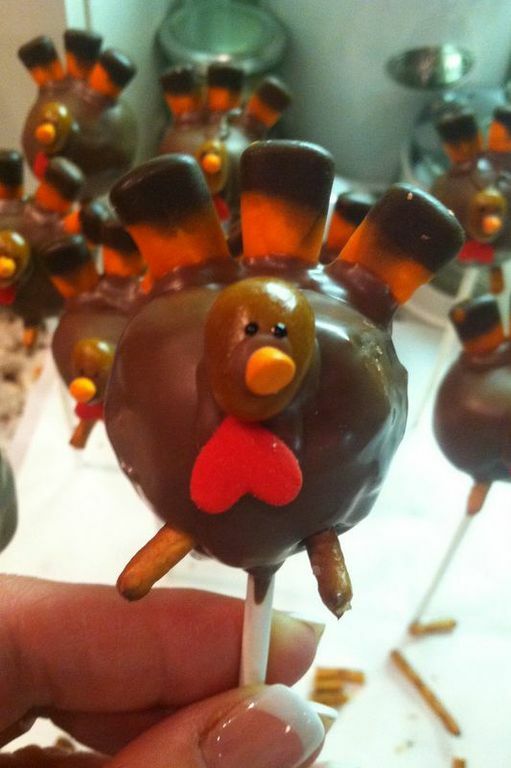 These are my Turkey cake pops from last year. If you want to make them, check out bakerella.com – she is incredible! I used sugar daddy’s for the head. 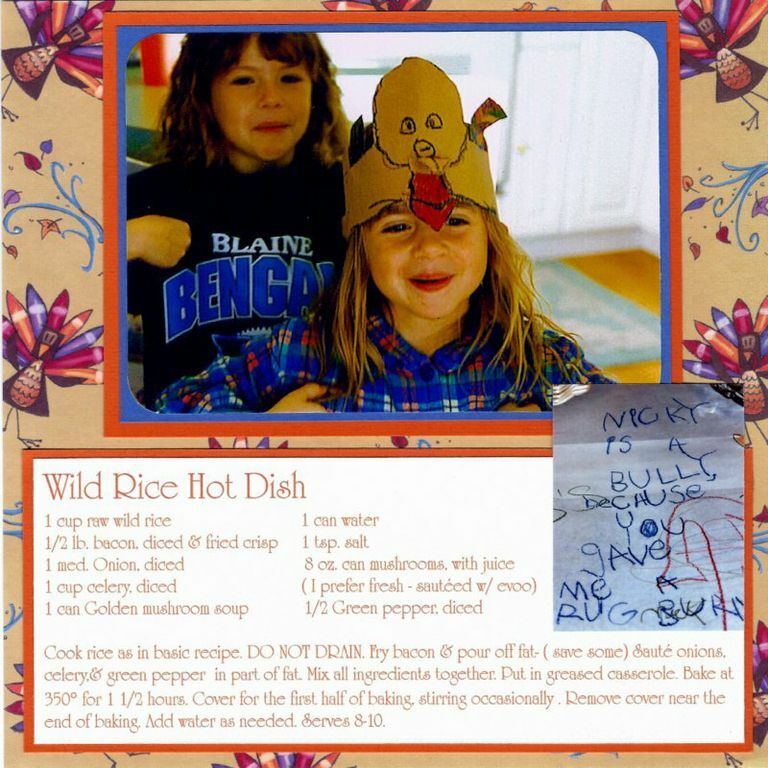 Click ‘Wild Rice Hot Dish’ to view recipe! Love every part of this! 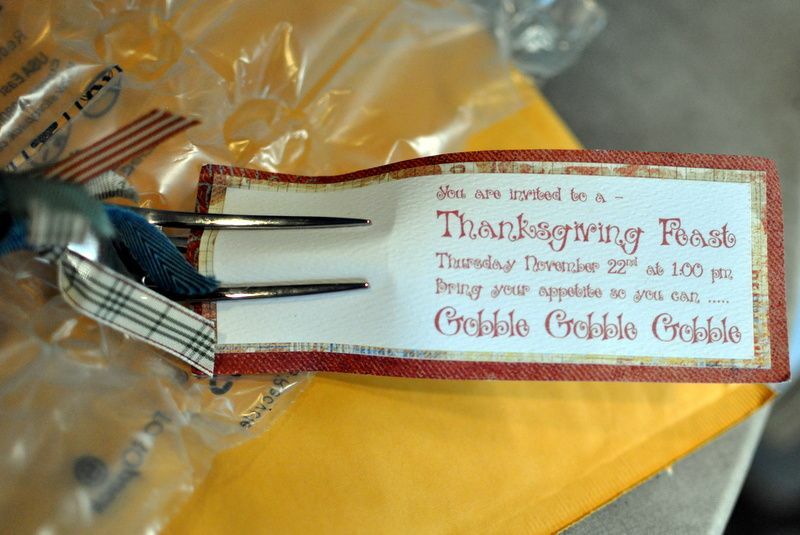 I am now counting down the days until Thanksgiving!! Me too !!! My most favorite holiday to cook for !!! Fabulous Post, Teri! I love your ideas- very inspiring! Thanks Miss Debbie ! That means a lot !! Amazing ideas!! You are inspiring! Thanks Alexandra !! I’m glad you like it !